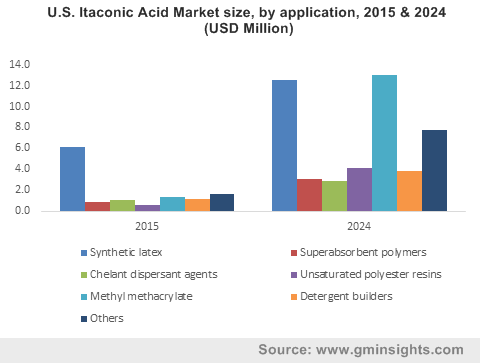 Methyl Methacrylate « Global Market Insights, Inc. The last decade has witnessed an increased use of composites in structural applications, that has paved the way for composite adhesives market in the construction domain. Particularly in the aerospace and automotive sectors, composite materials are prominently used for achieving higher fuel efficiency and better strength. On these grounds, numerous composite adhesives industry players have been striving to develop highly advanced and effective adhesive solutions for structural composite materials. In fact, they are mainly focusing on developing products having non-VOC content. In this regard, it is also important to mention that myriad regional governments have also framed stringent regulatory norms to reduce VOC content in environment. In consequence, companies have been aggressively spending capital on extensive research and development activities, which are likely to stimulate composite adhesives market outlook in the ensuing years. For the record, in 2016, overall composite adhesives industry collected a revenue of USD 1.4 billion. Of late, product manufacturers have been focusing on two essential pointers – advanced joining technology and the development of VOC content free products. With the aim to curb VOC content, numerous European and North American countries have already deployed stringent regulatory framework. 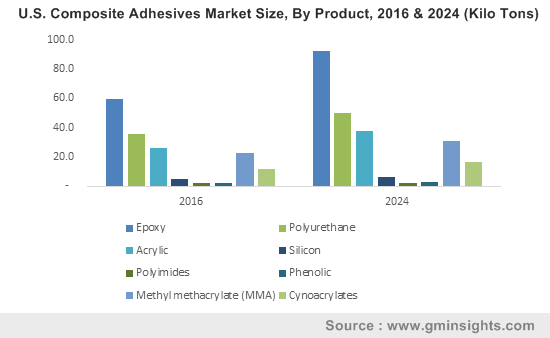 Indeed, this will prove to be beneficial for the giants in composite adhesives market as they look forward to developing new products while adhering to safety and health concerns. For instance, 3M launched a next-generation low odor structural acrylic adhesive a few years back. In addition to health benefits, the product also provided the advantages of cost savings, performance, and productivity. This acrylic based structural adhesive particularly witnessed a huge demand across China, owing to its prominent use in the aerospace, construction, and marine sectors. Speaking of which, acrylic composite adhesives industry across China has been forecast to register a CAGR of more than 7% over 2017-2024. The increasing investments in constructional activities such as airports, roads, dams, and bridge building across China may be the driving factor for the growth of this regional industry. This entry was posted in Polymers and Advanced Materials and tagged Composite Adhesives Industry, Composite Adhesives Market, Composite Adhesives Market Analysis, Composite Adhesives Market forecast, Composite Adhesives Market growth, Composite Adhesives Market outlook, Composite Adhesives Market PDF, Composite Adhesives Market report, Composite Adhesives Market share, Composite Adhesives Market size, Composite Adhesives Market trends, Epoxy adhesives, Methyl Methacrylate, PMMA market, Polyimide, Polyurethane Market.